Its good to see a viable solution to the problem of the decrepit IE6. 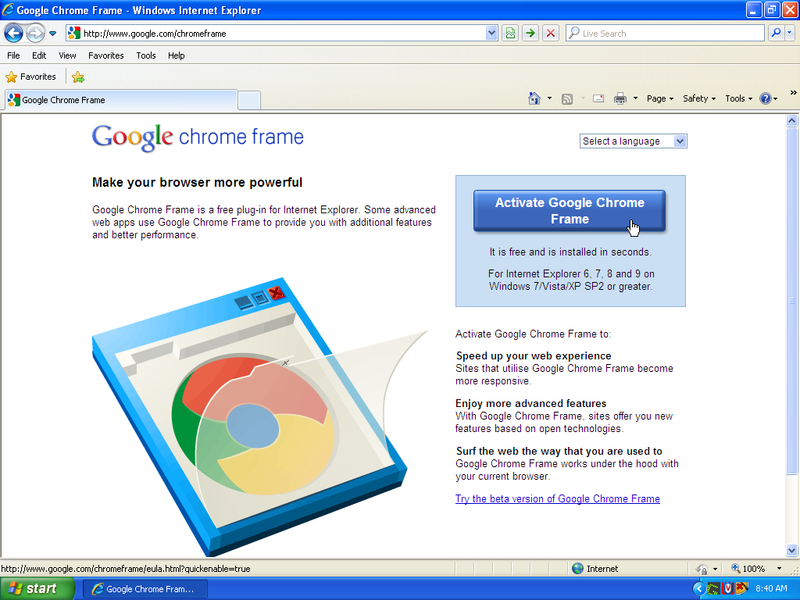 Earlier today google released an app which promises to bring web standards to the ailing web browser. Showing inline messages specifically to IE users using browser client sniffing always felt a little bit disrespectful and patronising to me, as upgrading or changing to a different browser is not always an option people have. It’s good to see that google are taking real steps to at least bridge the technology gap until IE6 finally dies of natural causes.